You’re Doing It All Wrong – Don’t Focus on Retention! As you start to look around this year, you will see a lot of articles and comments about how companies need to create retention plans. Yes, the market has changed and is now a “jobseeker’s market” and that has some companies concerned that they will loose some of their higher caliber employees but focusing on retention is not the solution. Think about the word itself: Retention. When you ask someone what “retention” means, they will tell you it means working on keeping the employees that you already have. In my head, I picture managers trying to attach shackles to their employees’ feet to keep them from leaving! The definition of retention itself supports this: “the continued possession, use, or control of something.” Don’t believe me? Go to the online Merriam-Webster Dictionary and it will tell you: “the act of keeping someone or something.” Doesn’t restrictive, doesn’t it? And what do most people do when they feel pressured or controlled? – they do the opposite of what you are trying to do…in this case, the more you focus on trying to keep employees from leaving, the more they will start looking for an exit. But even more than that, creating a “retention plan” only accomplishes one thing – trying to keep people from leaving. It doesn’t create a happy environment for them to work in. It doesn’t give them that spark of enthusiasm that they first had when the joined. It doesn’t get their creative juices flowing again so they are doing more than simply carrying out the job you hired them for. A retention plan may help stabilize your employee base, but does it benefit the company or the employee in the long run? Too many think that a retention plan is simply making sure the company provides a positive atmosphere or provides attractive benefits that will make employees want to stay with them. What they don’t realize is that those same actions will keep the employees that have no desire to expand themselves or grow the company – they are only there for the paycheck. Companies then start to complain about lack of motivation, lack of ideas, lack of growth both with the company and the employees so they start looking for new candidates with fresh ideas or different experiences to “shake it up.” Sometimes, this means having to create a whole new position in order to accommodate this need. Suddenly, the company is spending more and more money on just keeping employees from quitting and attracting new talent without ever really taking a look inward to what they are already have to work with. Everyone needs motivation…and the need to feel needed and appreciated…so if what you are offering them isn’t hitting those points with them, even the happiest employees will become complacent or begin to look for new “challenges” or opportunities. What’s the difference? You aren’t just trying to get everyone to stay – you are trying to re-engage those employees that you know have the drive and ideas your company needs to continue to grow. You aren’t just creating a “happy and comfortable” environment but one that gives them that reason to get excited about coming to work again every day. Still don’t get it? Okay – adding an attractive benefits package or employee activities/programs works to create your cultural environment…and what your company will become “known” for when its time to start looking for new talent. But, when the same thing is offered to everyone, everyone starts to produce the same output. Why? Because there is nothing enticing to the employee that gives more than 100% or has all kinds of ideas for improvement if their reward will be the same as everyone else. Those employees are the ones that you have to take a different approach with. Take yourself back to when you were first hired. You were full of excitement and ideas. You wanted to learn all you could about the job and show how you could do it better or share ideas to make the company better. When did that all stop or start to die down? Did it stop after the company stopped pursing you and hired you? Or did it stop when the excitement of those first six months on the job died down and the company only became concerned with you showing up to work and doing the job they hired you for? Now, imagine a company full of people feeling the same way. 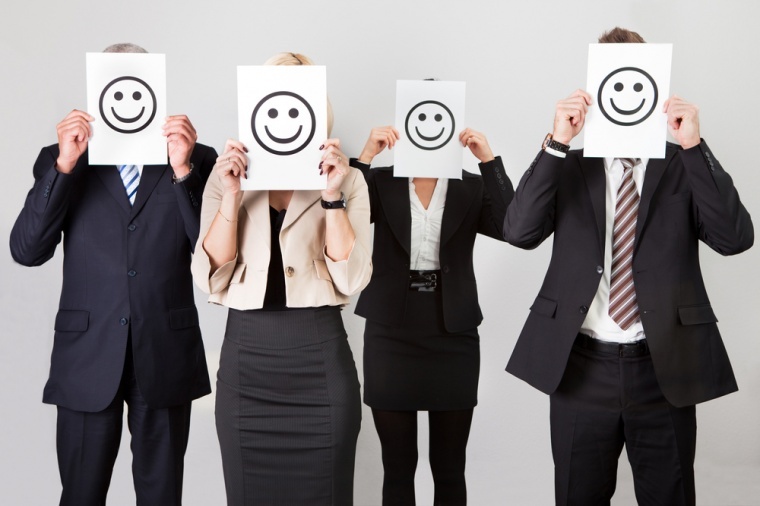 Your complacent employees will want the added benefits and perks to make their daily lives happier. They don’t want to switch jobs because that means having to look and risk rejection if they don’t have the education or skills. They want you to think only about the job they are doing for you and how you would be at a loss if they leave. More than likely, they also aren’t the ones contributing ideas but complaining about every little thing that the company isn’t doing or is doing wrong. Your high caliber employees like the added benefits and perks, but that isn’t what is keeping them employed with you. If they don’t feel respected or appreciated, they start working on an exit strategy. They start engaging in outside activities where they can network and they start sending out resumes. They still do their jobs, because they aren’t the type to slack off, but the same drive and enthusiasm that they once had is missing now. So, how do you “Re-Recruit?” Simple: Make employee engagement a priority again! When was the last time you made the time to sit down and talk to your employees? I’m not talking about holding a meeting to talk about where the company is right now, what you’re working on or what you want the employee to be doing to contribute. I’m talking about having a discussion, one-on-one, with your employees to simply ask them how they are doing, what ideas or suggestions have they been thinking about, what ideas they have for new products/services/improvements. Bring them back to that feeling they had when they first accepted the job offer – that feeling of their employer wanting to hear their thoughts for how they would carry out their job and what new ideas they had to propose to change things…that feeling that they were being welcomed in as a part of the team and not just an employee to fill a position. Stop being so busy managing your employees that you don’t make time to engage them. Schedule quarterly meetings with the employees in your department to talk about how they like their job, what personal goals they may have set for themselves and how you, as a representative of the company, want to help them. Monthly meetings would be too much and come across as insincere…and bi-annual or annual meetings let too much time pass if a problem or frustration is brewing. And don’t limit yourself to just sitting in your office to talk to them. Take them to lunch – get both of you out of the office for an hour in a relaxed environment where the employee will feel more at ease about talking. That simple show of appreciation will go a long way. They will come back from the meeting feeling good – they matter to their manager/they are appreciated – and that feeling will rejuvenate them to start coming up with ideas again and giving that 110% that they did in the beginning. You have now “retained” your employees – minus the shackles…and saved on recruiting costs because now there’s no need to seek outside the company for something you had as a resource already on the payroll…that just needed the dust cleaned off of it to be bright and shiny again. Previous postHR Would Be Better If….